In an interview with the Maine Sunday Telegram, the U.S. senator from Vermont says his presidential bid is gaining momentum. Presidential hopeful Bernie Sanders, a U.S. senator from Vermont, is scheduled to arrive Monday in Portland, where supporters expect him to be greeted by an adoring crowd of thousands. The timing could not be better for Sanders, who has received a flurry of positive press coverage over the past week. Headlines have focused on his meteoric rise in the New Hampshire and Iowa polls, the early success of his grass-roots fundraising campaign, and the fact that he drew an impressive crowd of nearly 10,000 supporters at a Wisconsin rally Wednesday night. Sanders’ appearance in Portland was moved from Ocean Gateway to the Cross Insurance Arena, which holds up to 9,500, including floor seating, after more than 3,000 people RSVP’ed to attend. The town meeting-style event is scheduled for 7 to 8 p.m. Monday. In a telephone interview Saturday with the Maine Sunday Telegram, Sanders said southern Maine is a logical next stop for his campaign. “Obviously Portland plays an important role in the Democratic primary process,” he said. Sanders said his campaign has been gathering momentum as more people become exposed to his messages of equality and defense of the common worker. “We’re essentially telling American people the truth about what has been going on in our economy,” he said, such as the subjugation of the working class at the hands of the very rich. 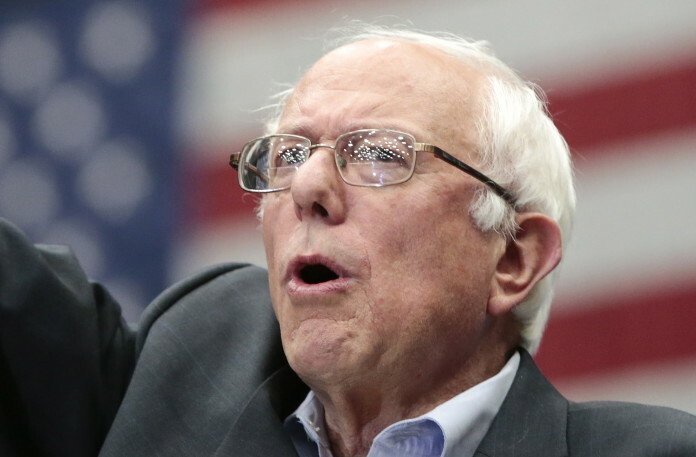 Many political analysts have dismissed Sanders as a fringe candidate with no hope of beating former Secretary of State Hillary Clinton, a former U.S. senator from New York who has raised three times as much money and has been the decisive front-runner in every single poll. But over the past several days, a conflicting theme has begun to creep into mainstream media coverage of Sanders, one suggesting that maybe this guy actually has a chance. Supporters in Maine and elsewhere point to the fact that back in July 2007, presidential hopeful Obama was similarly dismissed as a little-known candidate with no hope of going up against the well-oiled Clinton campaign machine. On Thursday, the Sanders campaign disclosed that it had raised $15 million almost entirely from small, individual donations since launching in late April. That figure is only a fraction of the $45 million Clinton’s campaign raised during the same period. Still, media reports have focused on the fact that the average amount of each Sanders donation was just $33.50, a figure that aligns perfectly with his oft-stated aversion to big-money politics. “He’s building a grass-roots movement instead of being funded by Wall Street,” Reed said. Another big story that broke Thursday concerned the results of a CNN New Hampshire primary poll that placed Sanders just 8 points behind Clinton among Democrats in that state. In the poll, 43 percent said they supported Clinton, and 35 percent said they favored Sanders. A previous poll in May had Clinton with 51 percent backing and only 13 percent supporting Sanders – a difference of 38 points. 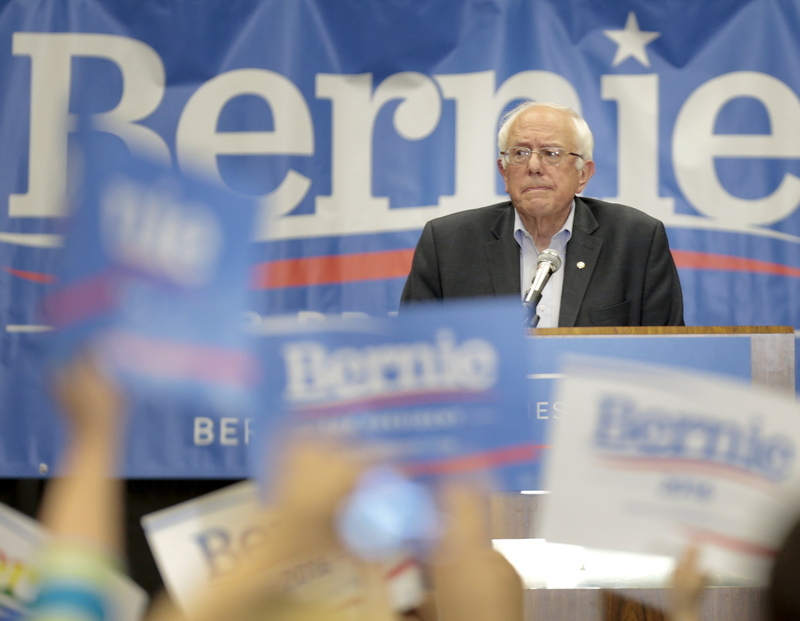 On Wednesday night, there was a big media buzz surrounding the fact that a Sanders rally in Madison, Wisconsin, drew roughly 9,600 attendees. In general, he has been attracting much larger crowds recently than at his earlier campaign stops. Quinn Malter, a 19-year-old Smith College student and Maine Democratic Party intern who lives in Cape Elizabeth, said she expects the groundswell of support for Sanders to continue growing as more people hear his message. At this point, those who believe Sanders could overtake Clinton in the Democratic primaries remain a small minority. Naysayers point to a number of challenges, such as his past self-identification as a socialist, his lack of connections in the Democratic Party, and the fact that in predominantly white Vermont, Sanders has never developed a strong argument for why minority voters should choose him. “Sanders may be polling well in mostly white New Hampshire, but he hasn’t been able to figure out how to earn more than 5 percent of the nonwhite vote, according to national polls,” FiveThirtyEight.com senior political writer and analyst Harry Enten wrote in a June 17 article. Given her commanding lead in national polls, Clinton could even lose in the Iowa caucus or New Hampshire primary – or both – without hurting her chances overall, Enten wrote. In fact, that is exactly what happened with strong Republican Party front-runners Ronald Reagan in 1980, George H.W. Bush in 1988, Bob Dole in 1996 and George W. Bush in 2000, he said. “Clinton looks as strong as – or stronger than – any of these past front-runners,” Enten said. Iowa voters will kick off the presidential nominating race with caucuses scheduled for Feb. 1. New Hampshire’s primary is scheduled for Feb. 9, and Maine Democrats will caucus March 6. Still, he expressed pride that his campaign has built up such a strong momentum in a short period of time. “Two months ago when I announced that I was running for president, there weren’t a lot of people who even knew who I was,” Sanders said. Supporter Troy Jackson, a logger from Allagash, said Sanders’ willingness to take on “the big corporate structure” is likely to win him greater support as word continues to spread. Jackson, a member of the Democratic National Committee and a former majority leader of the Maine Senate, said he agrees with Sanders’ views on many domestic issues, including affordable health care, workers’ rights, income inequality and reducing student debt. Sanders’ supporters in Maine appear less focused on his approach to foreign policy, which some analysts have described as one of his weaknesses as a candidate. However, Sanders noted that while serving in the U.S. House of Representatives from 1991 to 2007, he vehemently opposed both wars in Iraq and correctly assessed the long-term problems they would cause. “Much of what I predicted would happen did happen,” he said Saturday. Sanders said he supports U.S. anti-terrorism efforts as long as they are undertaken with the international community’s participation. “ISIS is a barbaric organization, but it can’t be defeated by the U.S. alone,” he said.